Nevermind the clueless stereotype you often see portrayed in the media, dads are awesome. Many dads are loving, caring, creative, hilarious and dependable. Some dads even take parenting to the next level, and manage to be awesome dads without ever losing even an ounce of cool. These dads know that, far from forcing you to lose your cool, having kids simply gives you another outlet for your cool. Dads don’t need to be dorky. 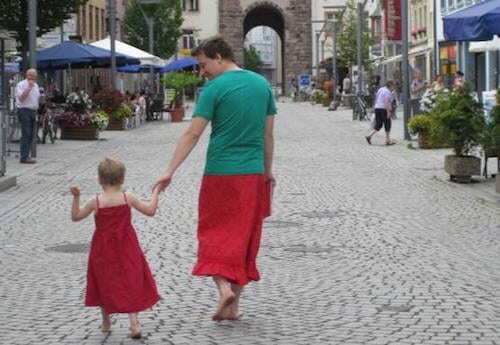 Take a look at these seven dads to see just how awesome dads can be. What do you do if your five year old son loves wearing skirts and dresses? What if he’s afraid to wear them out of the house for fear of getting laughed at? If you’re an awesome Dad, you take a trip to the clothes store. Not to buy some trousers for your little guy, but to pick out a stylish skirt for yourself. When Nels Pickert’s son felt afraid to go outside in his favourite outfit, the inspiring dad decided to take a leaf out of his son’s style book. Pickert joined his son’s fashion statement, and the two of them became used to heading out wearing dresses and skirts. Pickert’s five year old son gained in confidence and stopped worrying about being teased, he was able to feel happy about his choices. Honey Rae was born with a birthmark that covered part of her leg. As Honey Rae grew, so too did the birthmark. By the time she was 18 months old, she blemish stretched from her thigh down to the floor. The red birthmark is blotchy in appearance, and her parents were worried that she might stand out because of it. Luckily, the caring parents had the perfect solution. Adam Phillips and his wife Tanya decided to get matching tattoos that would help Honey Rae feel like part of the family. The loving parents each got a birthmark, like Honey Rae’s, tattooed on their legs. When Philippe Morgese became his daughter’s sole guardian when she just one year old, he had no idea what to do with her hair. Instead of accepting defeat, he decided to wise up when it came to hair. The committed father soon became an expert in how to do complicated fashion hairstyles. Morgese was often approached by other dads who asked him how he managed the styles. In true cool dad style, Morgese decided to share his new skills with the wider community of dads. The inspiring dad set up the Daddy Daughter Hair School, allowing other dads to learn more about hair. Some dads might feel intimidated by a daughter who loved pink, frills and makeup. Not this guy though. 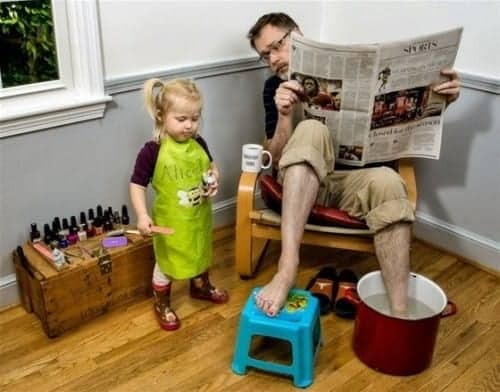 He’s totally down with spending his father-daughter bonding time relaxing at his daughter’s spa, getting his nails painted and talking about his upcoming holiday. 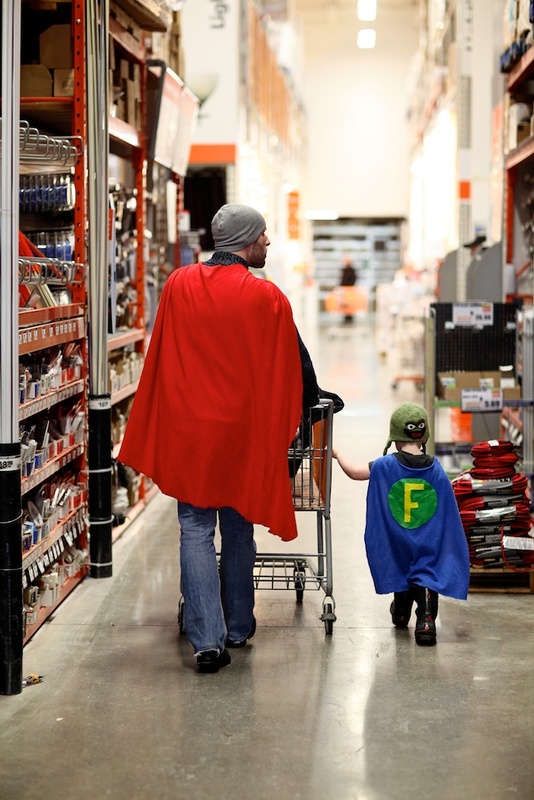 An unknown father-son combo were snapped doing some shopping in a hardware store. Why was the moment photo-worthy? Because the adorable pair were dressed as superheroes. The son is holding onto the trolley, his blue cape flailing behind him, and next to him is dad, dressed equally as well in a bright blue cape. The photo quickly went viral on Reddit, attracting supportive comments from around the world. 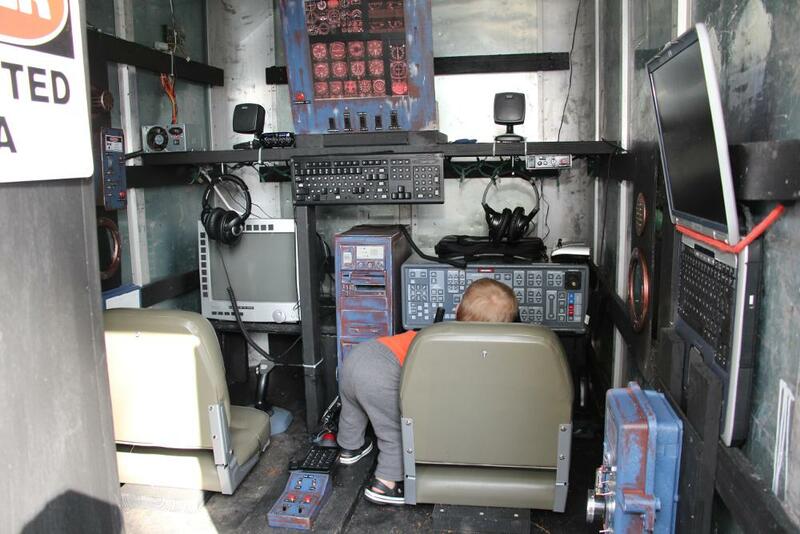 It’s hard not to be impressed by a dad who not only understands his kid’s imagination, but actively encourages it. When Breanna Martin graduated from high school, her dad presented her with a pretty amazing gift. He hadn’t just picked it up at the gas station on the way to school, instead it was a gift he’d been planning ever since his daughter was in kindergarten. 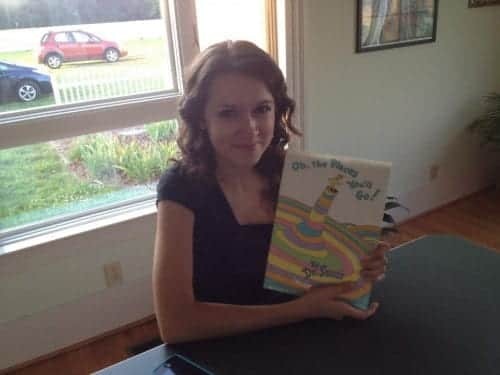 For 13 years, Breanna’s dad, Martin, had been asking his daughter’s teachers to sign the book at the end of the academic year. Recommended Reading: 8 Best Facebook Pages For Dads and Dads-To-Be and Dear Daddy [Warning: This Video Will Make You Cry].